HBO has announced that Pete Holmes comedy, 'Crashing', executive produced by Judd Apatow, has been renewed for a second season! I've absolutely loved this show and I'm thrilled that Pete is getting a second season. Don't miss 'Crashing' Sunday nights on HBO. Read HBO's official press release below. 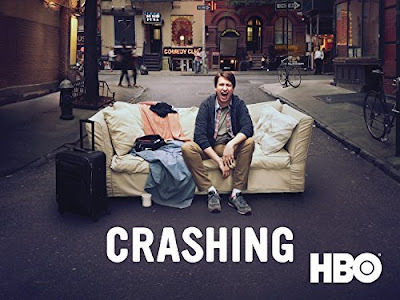 LOS ANGELES, March 15, 2017 – HBO has renewed the comedy series CRASHING, created by and starring Pete Holmes, for a second season, it was announced today by Amy Gravitt, executive vice president, HBO Programming. Holmes and Judd Apatow executive produce the show, which currently debuts episodes Sunday nights (10:30-11:00 p.m. ET/PT) on HBO.